Our 2018-2019 season begins on October 5th. We’re delighted to be returning to The Old Church with a whole new line-up of real, true stories told face to face, eye to eye, and heart to heart. 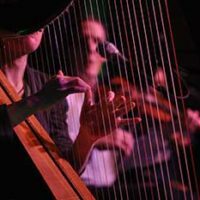 Our live storytelling shows create a sense of community – an extraordinarily rare experience in this digital age. Urban Tellers® is back stronger than ever with real true stories of the People of Portland, featuring Leah Carey, Kyle Cooper, Steve Eggerts, Sharon Gavin and Lynn Fitch. Live jazz at 7 pm when the doors open. Stories start at 8 pm. Most of our Fall workshops have filled up but there is a a spot or two left in our one day workshop Storytelling Bootcamp that happens on Sunday, October 7. Lunch provided. Join us! Interested in other workshop offerings? Please visit our website, send us a message, or give us a call at 503-284-2226. Friday, November 2nd marks our fourth Immigrant & Refugee storytelling event. This time we are partnering with The Immigrant Story. Support this important work. We believe that listening is a form of love. Come listen to the real, true stories of our Portland neighbors who started life in Venezula, India, Mexico, Iraq, Nigeria, and Yemen. The story that launched the Armchair Adventure Series, Shackleton’s Antarctic Nightmare, returns! This year, we’re collaborating with Wetdog Studios to create an immersive visual experience to compliment Lawrence Howard’s epic storytelling. Our lives are fueled by expectation. Sometimes they are made for us. Sometimes we make them ourselves. In his very first solo show Warren McPherson will tell stories about his unrealistic hopes for the world and the yoke of assumption the world has placed upon him. No Portland Story Theater season would be complete without Kiss & Tell, our tribute to the good, the bad, and the ugly of Valentine's. It's our longest running event, complete with photo booth, prizes, and the Love Note Lottery. It's really fun! We're very excited to be returning this season to The Old Church with our amazing house band, Tonight's Special. They are led by Laurent Nickel on bass along with Roger Paulson on piano, Alan Dragon on percussion, Aaron Mattison on sax, and Bryant Byers on trombone. Be sure and come to Social Hour when the doors open at 7 pm to hear some beautiful jazz. Enjoy. Have a drink. Settle in and stay for the stories that start at 8 pm. 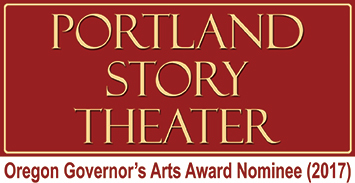 Portland Story Theater is generously supported by The McIvor Family Charitable Fund; Tonkon Torp; John Moe; Ronni Lacroute; Diane Ponti and Ward Greene of SAGE (Senior Advocates for Generational Equity); Polk Family Charitable Fund; Dana and Steve Dennis; members of the Portland Story Theater Board, Founders' Circle, and Narrative Network, and many other individual supporters, as well as by the Oregon Community Foundation; The Collins Foundation; James F. and Marion L. Miller Foundation; Meyer Memorial Trust; The Kinsman Foundation; The Autzen Foundation; NW Natural Gas; and The Oregon Cultural Trust. Thank you! Visiting the Portland Story Theater offers a lasting pleasure! Participants speak from the heart about personal experiences that explain why they live in Portland and why they remain. During this upcoming season PST will host seven events connected to unifying themes. You will leave the venue with a better understanding about our city, our neighbors and ourselves. Even better, the Portland Story Theater operates a number of workshops to develop and release your inner storyteller. Like I mentioned.. it’s a lasting pleasure. The season has been great so far!